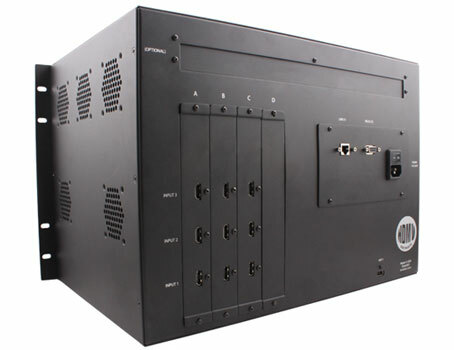 The HDMV-9X is a member of SmartAVI's HD Multiviewer series of products that allows users to view up to nine different HD digital video sources on one display device simultaneously. It can also be used in many applications that require real-time monitoring of multiple devices, like HDTV, DVD players, cameras and computers. It is the perfect solution in situations where a user needs to monitor several sources at the same time. 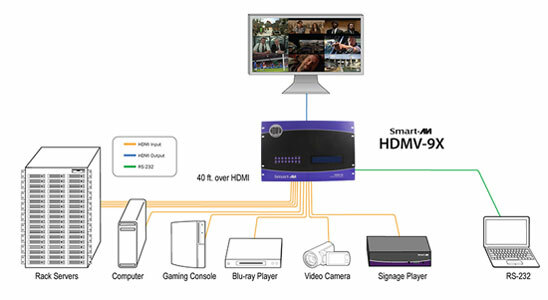 Connections to video sources are managed via HDMI or DVI connectors, with advanced viewing options such as dual-mode, quad-mode, 9-mode, full-screen mode, and PiP (Picture in Picture) mode.